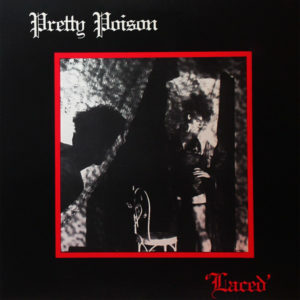 Here’s a pair of early releases by Philadelphia-based new wave band Pretty Poison. Many of you folks may remember this band from the freestyle hit “Catch Me I’m Falling,” but their earlier, less successful releases had a far darker edge, from the gloomy, yet danceable music to the stark black covers featuring gothic imagery. Though these tracks became minor college radio singles, it would take four years and a stylistic re-invention for the band to take off. This pair of releases dropped in 1983. Dying to hear one of their first releases, a 1982 flexi cover of Tuxedomoon’s “No Tears.” If anyone has that one kicking around, please pass it our way! Otherwise, here’s the information for these two releases. 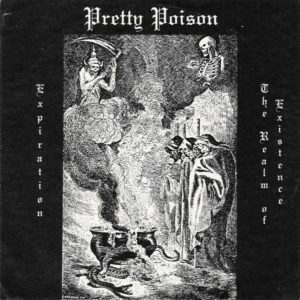 For curious parties, the two versions of “Expiration” here are completely different. The band would go on to re-record “Let Freedom Ring” for their first full length record in 1987, with a far glossier edge. This entry was posted on July 11, 2010 at 7:59 pm and is filed under 1980s, 1983, freestyle, new wave, pretty poison, synthpop . You can follow any responses to this entry through the RSS 2.0 feed You can leave a response, or trackback from your own site. Great blog, and I'm just getting started in my explorations. You're good people for posting this. I have "Laced" on vinyl, but life has placed impediments to hearing the songs. I appreciate the legwork! I saw Pretty Poision many times in the Phila area before they got sign. they were one of the best live act in the area.